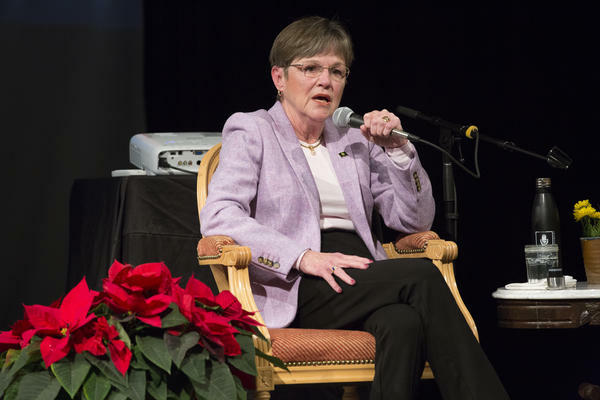 Gov.-elect Laura Kelly speaks at a Kansas News Service event in December. On Thursday, Kelly announced a new interim head of two state agencies, and called for a halt to recently awarded grants for private foster care contractors. With the election of Democrat Laura Kelly as governor, it appears Kansas is trending back to the center. But voters sent a mixed message as conservatives regained control of the Legislature. 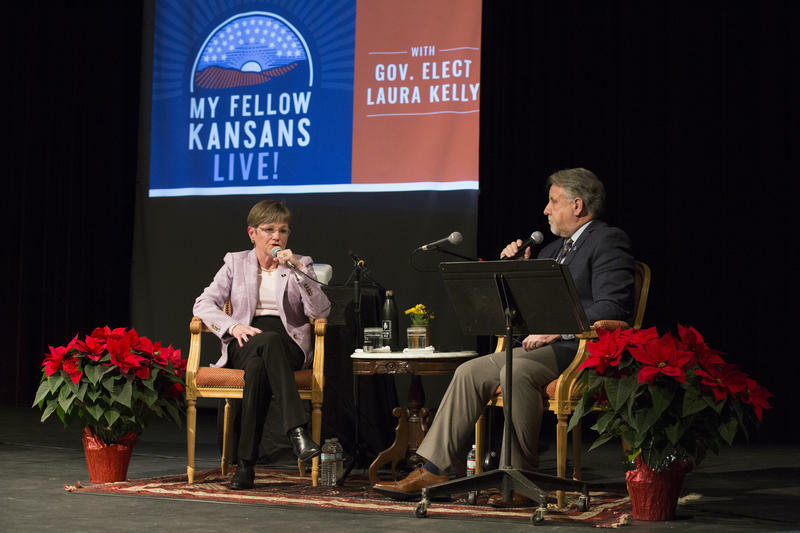 To cap off this season My Fellow Kansans, the incoming governor sat down with Jim McLean of the Kansas News Service and took questions from a live audience at Washburn University in Topeka. 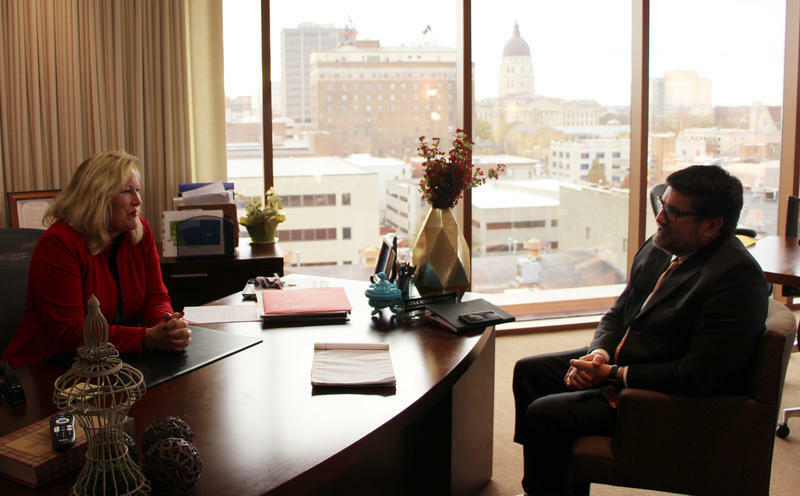 As Kelly prepares to take over the reins of state government, she said she's found the problems to be worse than she thought. But the governor-elect, a veteran of the state senate, is confident she'll have a "moderate majority" of Democratic and Republican lawmakers working with her on solutions.